The Wanted and Lawson get suited and booted, One Direction enjoy some Halloween themed fancy dress and Tulisa wins an award for The X Factor in this week's best pictures. 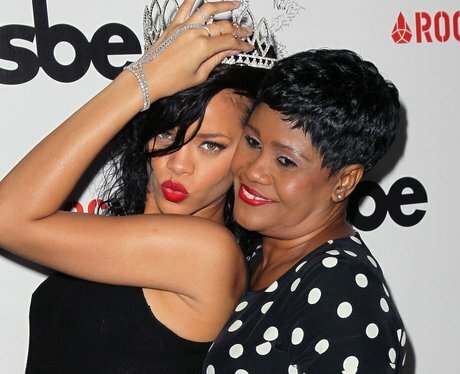 The 'You Da One' singer posed with mum Monica Braithwaite in West Hollywood after being given a key to the city by the Mayor. The 'Taking Over Me' singers attended the awards show ahead of launching their 'Hometowns' UK tour in Liverpool this week. The 'Hottest Girl In The World' four-piece's new album 'Evolution' drops next week and the band promoted the release with a major gig at London music hotspot G-A-Y. The 'Wings' singers met up with fans at Sydney's Luna Park after arriving for their first visit to the country as a girl band. The 'Glad You Came' five-piece smartened up in suits for the annual awards show ahead of the release of their new single 'I Found You' this coming weekend. 13. Jessie J Enjoys Downtime In Los Angeles While Working On New Album. The 'Cannonball' four-piece are set to release debut album 'DNA' this week and have been in Australia promoting recent single 'Wings'. The 'Sight Of You' star was backed by her act Ella Henderson as she was presented with the award for Ultimate TV Personality. The 'All Fired Up' five-piece feature in a new E! series called Chasing The Saturdays about their bid to conquer America, which launches in January 2013. The 'Troublemaker' singer took time out of his busy schedule, split across promoting his new album 'Right Place Right Time' and working on the ITV2 show, to attend this week's event to celebrate the best of Britain. The 'Young' singer joined fellow panelist Louis for the Pride Of Britain Awards this week in central London. The 'One More Night' singer dined out with his girlfriend, Victoria's Secret model Behati Prinsloo, at the 2012 GQ Gentlemen's Ball. The 'Pound The Alarm' rapper teamed up with MAC for the new product collaboration an attended a special launch party in between dates on her UK arena tour. The 'Wide Awake' star attended the Dallas Mavericks and Los Angeles Lakers NBA season opener in LA this week, where ex Russell Brand was also pictured in attendance. 26. Rihanna Dresses Up To Received An Award In Hollywood. The 'We Found Love' star was crowned Queen Of West Hollywood Parade this week on Halloween night in Los Angeles. The 'Read All About It' rapper poses with his grandma and girlfriend Millie Mackintosh, from Made In Chelsea, at the awards show in London. The 'Firework' star shot a new set of images for US brand Popchips this week in between working on her third studio album. The 'Can't Say No' singer performed a string of hits from his debut album 'Contrast' at several shows this week up and down the country. The newest judge on The X Factor UK is pictured in a split leg gown at the high profile celebrity event celebrating the achievements of Britons across the country. The 'Teenage Dream' singer teasingly bits the corner of a packet of Popchips while dressed in Halloween inspired gothic attire. The 'Live It Up' star is ushered into a taxi cab after a night out with friends at Aura nightclub in central London. Ahead of releasing new album 'Warrior' next month Ke$ha arrived in person to launch her latest watch with brand Baby G and showed off the product to photographers at the event. While promoting her debut album 'ORA' over in New York, 'R.I.P.' singer Rita showed her holiday spirit with a small Halloween themed accessory. The 'Try With Me' singer smiles for photographers while running some errands ahead of presenting her contestants Rylan Clark, Jahmene Douglas and James Arthur at this weekend's live shows. The 'Something New' singer turned up to support Cheryl Cole ahead of her award win at the Ultimate Woman Of The Year event in central London. The Take That star is preparing to release his ninth solo album 'Take The Crown' in the coming weeks, fresh from the success of lead single 'Candy' back in October. 40. Little Mix Pose During Their Stay In Australia To Promote 'Wings'. The X Factor 2011 winners Little Mix gave a special concert for their Australian fans at Eastland Shopping Centre in Melbourne, Australia this week. The 'On The Floor' singer wore a long flowing gown while attending the event at the Maritim Hotel in Duesseldorf, Germany. Nicole Scherzinger attends the launch of EE, Britain's first 4G mobile network, at Battersea Power station dressed in a live Twitter dress. One Direction attend El Hormiguero TV show at Vertice Studio. The group dropped by to promote their new album 'Take Me Home'. Taylor Swift arriving at the 46th Annual Country Music Awards in Nashville, Tennessee. Justin Bieber answers questions at the GRAMMY U: Soundcheck with Justin Bieber at FedExForum.